The hospitality industry is constantly evolving and changing. 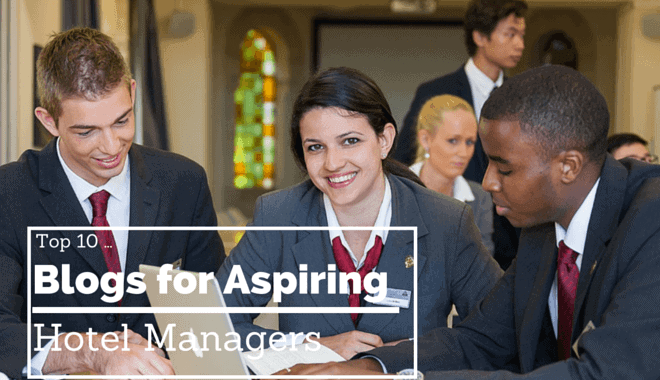 If you want to be a successful hotel manager, then you must follow industry news, keep abreast of the latest news, and read tips for success. This website’s blog showcases the latest technology for hospitality marketing and making hotel reservations. It also offers tips on how to provide a customized experience for guests and highlights different methods regarding how hoteliers can ensure their guests remain engaged. This blog is a networking and online hotel news resource. The boutique hotel sector is growing by leaps and bounds, and lodgings that fall within this sector are opening by the dozens each year, which is astonishing given the tough economic times. In addition to the latest hospitality related news, the blog also offers trivia and operating tips. Dedicated to all things traveltechnology related, this blog will keep you current regarding all things tech within the travel industry. This blog offers a superb tool for keeping up with the most popular sites, trends, and mobile applications, plus much more. The author, who has worked in the hospitality industry for more than a decade, offers must-read musings for hotel guests and workers alike. Using his humorous writing style, he tells stories of finding guests mid-coitus in the stairwell and of guests who have tried to beat him at his own game. In his words, “because he just doesn’t care anymore”, the blog also regularly publishes tips and tricks for getting the most out of your stay. This friendly and upbeat blog is solely dedicated to new hotel openings, ratings, and hotel reviews. One unique feature of the blog is that it keeps hoteliers abreast of the newest innovations and renovations going on in well-known hotels throughout the world. The blog layout is extremely user-friendly and inviting and occasionally features personal stories and anecdotes from hotel managers and guests alike. In the hospitality industry, the most important thing you can do to market your hotel to potential guests is to build relationships. Guest amenities, slick websites, and competitive pricing can only do so much. Not only should you build relationships with your guests, but also with the agencies and professional individuals who come into contact with your guests. This blog will show you how to do exactly that. This in-depth blog makes it simple to keep up with the latest trends, news, and topics on a global scale, and the blog covers all aspects of the hospitality industry. Here, you will find a diverse range of helpful tips and articles for growing your business. HospitalityNet will allow you to find everything you need to make your business a success – from potential products for your business to webinars and events. 8. How May We Hate You? Sometimes, you simply need to laugh. This blog was started by two writers and comedians who started off trying to make it big in NYC. After falling into concierge work, they began to post their most bizarre, funniest experiences on their personal Facebook pages, which soon evolved into this blog. Now, the blog has nearly 50,000 followers and has been mentioned in numerous publications, ranging from The New York Times to Readers Digest. A book is expected to be published in the summer of 2016. This blog closely follows marketing trends for the hotel sector, as well as trends in the hospitality industry as a whole. Many posts are designed to answer specific questions you may already have about the hospitality industry, like “how to drive traffic to your hotel” or “reasons why no one is talking about your business on Facebook”. This one of a kind blog receives its content from crowdsourcing and includes a diverse variety of helpful ideas, tips, and photos that show off creativity within the hotel sector. Content is chosen for its ability to assist hotel owners around the world to approach their own marketing efforts with a fresh pair of eyes.